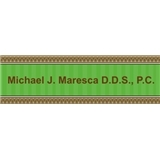 Michael J Maresca DDS PC (New York) - Book Appointment Online! It is our intention to make your dental visit as comfortable as possible. We offer nitrous oxide (laughing gas), music of your choice with headphones available, updated magazines, and DVD's to help alleviate any apprehension.Our friendly and caring staff will be there to help make your dental experience a pleasant one. We are not in-network providers, however, as a courtesy to our new patients we will accept assignment for your initial cleaning, x-rays and exam. Please provide insurance information upon scheduling your appointment. For all other dental services we will be happy to process your insurance claims, however, you will be responsible for paying at the time of visit. The insurance company will then reimburse you directly. This was my first time visiting Dr. Maresca's office and was extremely pleased. On short notice they were able to get me in and accommodate all my needs. Dr. Maresca and his staff were friendly and insightful. I confidently recommend this practice and look forward to my next visit!